Recently picked up a Kenko 1.5 Teleconverter from Craigslist. Put it on my Sigma 70-300mm Macro APO lens and took a photograph of a lens from across the room. EXIF shows the shot taken at f-19 (I used a tripod) at 4 seconds. The 300mm shown is not correct should read 450mm. Autofocus works fine albiet the lens hunts quite a bit in the low light. 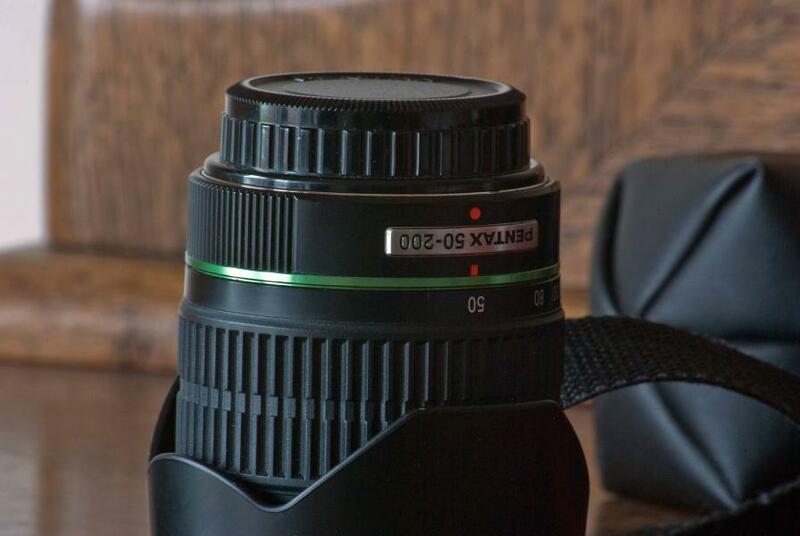 The person that I purchased it with was using with his SDM lenses with no problems. I'm quite impressed so far with the sharpness of the SIGMA with this teleconverter. Can hardly wait for a descent day with some sun to try it outside on some birds. Last edited by bobell69; 12-20-2009 at 05:41 PM. f/19? Seriously? I would expect it to be razor sharp if you cut a piece out of the bottom of a cola bottle and replaced the teleconverter's glass with it, at that aperture. Yea, you are probably right, I'll try it again at a more realistic f stop to see what it provides me with. The interesting comaprison would be between the 70-300 at 300 with the TC, versus the 70-300 at 300 *without* the TC but cropped to yield the same field of view. Do that comparison both at the same stated aperture but also stopping down the non-TC shot one stop to give the same shutter speed in both cases. My guess is after doing that comparison, you'll end up putting the TC away - it very rarely actually provides betters results than simply cropping. But I would be curious to see the results if you do perform such tests, as I've never specifically seen it down with the Sigma 70-300. EXIF shows the shot taken at f-19 (I used a tripod) at 4 seconds. The 300mm shown is not correct should read 450mm. None of the current TCs modifies the report of focal length. 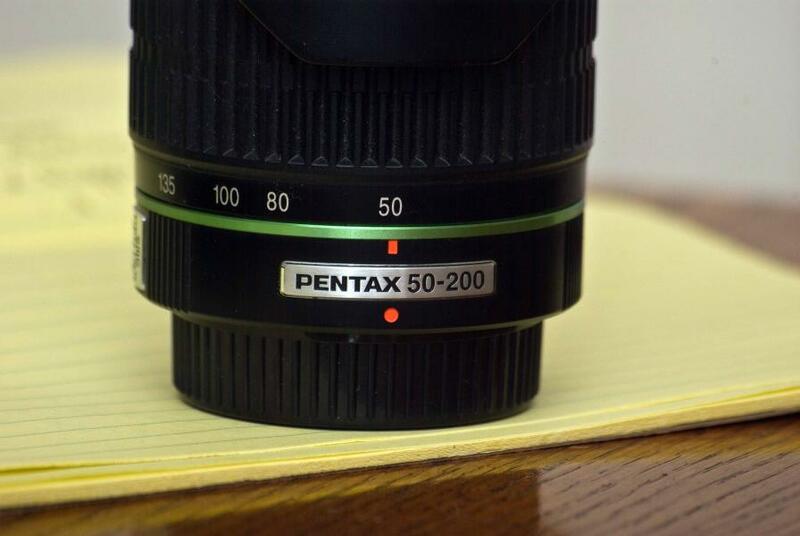 If used with a lens that report aperture, the Pentax 1.7X AFA modifies the aperture to the correct value. But the Pentax AFA doesn't know anything about focal length. I myself am not so enthusiastic about the IQ of the Tamron 1.4X TC, similar to your Kenko. ...My guess is after doing that comparison, you'll end up putting the TC away - it very rarely actually provides betters results than simply cropping. But I would be curious to see the results if you do perform such tests, as I've never specifically seen it down with the Sigma 70-300. Well said Marc. I have the Tamron 1.4 TC and have yet to take a better picture with than without. It also renders the AF useless 75% of the time. If you are trying to shoot something moving or in less than perfect light, forget the TC. Actually, a good TC will always provide better results than cropping and resizing, and the Kenko 1.5x seems to be pretty good. My comparisons using the Kenko 1.5 on five of my lenses suggests otherwise. The only lens with with the TC isn't a pretty clear and obvious loser at all apertures is the M200/4, and only aperture where the TC matches and might *slightly* beat cropping is f/9.5. At all other apertueres on this lens, and all tested apertures on all other tested lenses, cropping won. Then the lenses themselves are poor, and a good quality teleconverter won't have made a difference either way. Let me refine: a decent lens and a decent teleconverter, combined together, will always produce better results than cropping and upsizing. If you're in doubt of this scientific fact, check out the thread I just posted about the Tamron 70-200/2.8 lens being used with a teleconverter. The results would've been much worse if I were to simply interpolate with for example a bicubic resizing algorithm. It's because a teleconverter multiplies the input, and cropping and upsizing multiplies the output. If the input lens is poor, a crop and upsize on the computer will be better, because a teleconverter will multiply all factors including CA, coma, spherical aberration, and any other lens faults. However, if the lens is good and the TC is good, it will be multiplying (really, degrading) a lens that already outresolves the sensor, meaning that the resulting image will still likely outresolve the sensor. A resized crop done on the computer will simply be upscaling the given information of the already-created image, instead of the potential information of the virtual image before it strikes the sensor plane. Well, "poor" is a relative term, but two of the lenses were the DA50-200 and Tamron 70-300, but of which are generally considered to be better than the Sigma 70-300 the OP is hoping to use it with. I'd say it's "average" lenses like any of these that will suffer with a TC; only "exceptional" ones like the Tamron 70-200/2.8 you mentioned are likely to benefit. Right, exceptional ones like almost any prime, and most high-quality zooms. But the two lenses you cited are not really high-quality. It's just something you get a feel for after shooting with hundreds of lenses. I typically make it a point to try expensive lenses with a teleconverter to see how well the perform, in order to basically "future proof" myself against higher pixel density sensors that would come out in newer camera bodies. But throughout anything, it's clear that the lens and TC OP has work pretty well together -- much better than simply resizing alone would do. But recently I grabbed a cheap K-1 M42 teleconverter off eBay(why not right?) just to see how it measured up and so I tried it on a few lenses and everything was looking pretty boring(as expected). Then... one night, just for kicks and giggles, I placed in on a Vivitar S-1 200mm 1:3 and BAM! So, though I agree with your comment, I also want to say that sometimes.. certain combinations of glass really can work a little magic. Last edited by JohnBee; 12-23-2009 at 09:57 AM. Here's an example of the above mentioned combo taken just moments ago. Might make a great macro lens, this one was taken at about 8 feet from focus point. A little more testing showed that I can move in at about 4 feet with this combo. So its reaching macro range. Another really interesting thing is that the teleconverter seems to be reducing PF somewhat. I'd need to do a little more testing(cause this was indoors) but, based on my own experiences with this lens, I'm finding less need for PF reduction with the TC on that off. Last edited by JohnBee; 12-22-2009 at 11:16 PM. Reason: the original post was just to boring. Sigma 100-300 F4 EX DG With the Tamron 1.4 X TC Pz/AF. All images cropped to the same view and then re-sized to a height of 1000 pixels. iso 100, indoor, 2-sec timer, Av mode and focused using live view and manula focus at maximum magnification. As you can see the light and exposure got different in between the shots. Pixel peeping is painful. I don't think using TC degrades IQ over cropping even when equalized for shutter speed as compared to the f8, I like the Tc images a bit better but all three IMO are within the experimental error. Minor changes in light makes a bigger difference, so any differences in pixel peeping between TC and non-TC shots are within the minute experimental errors in light etc. Using the TC, one can see the image closer in the viewfinder which is kind of the point with a dslr, and the AF and AF tracking locks easier on an image covering the viewfinder. These images were all shrunken to resize. Now, if the image has to be blown up beyond the 100% view to match the TC image, then the use of TC will be much better. Also, this is using some old TC's, with the canikon system one can easily get pro-grade TC's which will do even better. I like using 1.4 TC's with the right lens.